Enjoy the Holiday weekend with your friends and family as you prepare for the Easter Bunny to make his chocolate deliveries. There are still many Maple Syrup Festivals taking place as well as lots of Easter themed Activities. 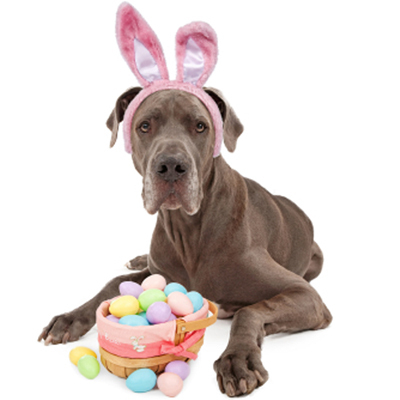 For a full list of Easter Fun click here or check out our Weekend Fun Guide Below. From our family to yours, we wish you a very Happy Easter! Spring Festival @ Chappell Farms – Fun for the whole family including a candy hunt every Hour, magic shows, wagon rides, animals, trike track, jumping castle and food! Maplefest (Weekends March 16th-31st) @ McLean Berry Farm – At Maplefest, there are a tons of fun activities for the entire family. Whether it’s going for a wagon ride, eating pancakes with fresh maple syrup or seeing how the sweet stuff is made, there is something to do for everyone! Kids and kids at heart love tapping their toes and swinging their hips to live music, trying their hand at tapping a maple tree and testing their toffee on snow twirling skills to get a taste of the sweet stuff! Farm animals and fresh straw offer playtime for some, while others prefer to take a stroll through the sugar bush with a pair of snowshoes. Easter @ Blue – Send the kids on an EGG HUNT throughout the Village or perhaps try out an EGG DIVEat The Plunge! Aquatic Centre – or do them both! Lots on the go including Horse & Wagon rides 1-4pm on Saturday and Sunday, The Ridge Runner Mountain Coaster, The Woodlot Low Ropes courseand of course 40 shops & restaurants to explore. Maple Syrup Festival @ Bronte Creek – (Weekends in March and March Break) Enjoy a guided tour of the Maple Lane, where 1890s costumed interpreters demonstrate how to tap maple trees, make maple syrup and maple sugar. View artifacts in the maple museum or tour the 100-year-old Spruce Lane Farmhouse. Be sure to browse through the maple products and souvenirs available in the Maple Gift Shoppe and pick up a bottle of syrup to take home. Hop on a wagon that will take you to a heated pancake house where you can enjoy fresh, hot pancakes with pure maple syrup and sausages, served up throughout the festival hours. Sweet Water Season @Crawford Lake Conservation Area – 10:00 AM – 4:00 PM Daily until April 7th – The fun includes: Sweet Water Demonstrations, Taste complimentary samples of cornbread dripping with pure maple syrup, Taffy on Snow and Maple Syrup tastings, Explore the 15th century Iroquoian Village and reconstructed Longhouses, Fun for Kids – FREE Craft Making and Discovery Hunt with Prizes and more. MapleTowne @ Mountsberg Conservation Area – See how sap is magically transformed into sweet, sticky syrup and smell the fragrant steam rising from simmering kettles, Learn the secrets of Maple Candy making and taste FREE candy samples, Enjoy piping hot pancakes smothered in fresh maple syrup outdoors under our pavilion nestled in the woods and enjoy all the seeing the birds, bison and everything else Mountsberg has to offer. Annual Maple Festival (February 28th-April 14th) @ Proulx Maple & Berry Farm – Weekend activities include: Watching the sap being collected, visit the syrup shack, enjoy a pancake meal, taste the real 100% pure taffy on snow, Horse drawn hay rides through the maple bush, visit the petting farm, and have fun playing in the play parks. Stanley’s Olde Maple Lane Farm (Open weekends until April 7th) – Join us for a sleigh ride, visit the sugar shack, and watch the sap to syrup process unfold while enjoying taffy on the snow and a pancake brunch at the Pancake House. Good Friday @ Colasanti’s – There will be an Easter Scavenger hunt where all children 12 and under will receive prizes and there will be a visit from the Easter Bunny! For an additional cost you can partake in teh lunch buffet and buy an all day ride pass. Easter Egg Hunt – Celebrate Easter with your family at Citi Plaza’s FREE Easter Hunt in the City! Meet the Easter Bunny and participate in an Easter scavenger hunt with 8 stations around Citi Plaza. Collect all 8 stamps to receive an Easter goody bag! There will be Easter crafts, music, prizes, discounts and more! Donations for the local food bank will also be accepted. Easter Egg Hunt @ The Muskoka Heritage Place. Main gate opens at 12:00 noon sharp and children are split into various age groups, even the very young. They then embark upon a chocolate treasure hunt and search for the golden eggs to win prizes. the entire event lasts one hour. Free admission. Easter Sunday Eggstravaganza @ Oshawa Airport – Oshawa Airport Lions Host their annual Easter Sunday Eggstravaganza! Gates open at 12 sharp, $10 donation/family, Easter bunny lands at 1pm. Easter egg hunt to follow. Free pictures with the Easter bunny! Pony rides, enchanted castle and food available for purchase. $3/pizza slice & drink. For safety reasons, please absolutely no bags, baskets or containers allowed on airport property!! Sugarbush Maple Syrup Festival (March 2 – April 7) @ Bruce’s Mill – It’s a sure sign of spring. Come out and tap into nature! Demonstrations, wagon rides, activities, entertainment, fun crafts and of course pancakes and Maple Syrup. Kinsmen Fanshawe Sugar Bush (weekends in March and March Break) – Enjoy guided tours, demonstrations and displays. Sample Maple syrup and other Maple Products and visit the Sugar Shack. We provide a complete maple syrup tour, starting with the methods used by the natives to the modern day evaporator. One of a Kind Show @ Direct Energy Centre – One of the most anticipated spring shows is back. This unique craft shows features tons of one-of-a-kind fashions, accessories, housewares, art, designs and gifts. Maybe you can find that one of a kind thing you’ve been looking for. Ultimate Dinosaurs @ ROM – Giants from Gondwana, presented by Raymond James, features dinosaurs you’ve never seen before, displayed in ways you’ve never seen. Check out this world premiere exhibit featuring Dinosaurs unknown to North Americans – most have just been unearthed in the last 20 years. The Natrel® Rink at Harbourfront – Tucked away behind York Quay Centre and set against the beautiful shore of Lake Ontario, the city’s most scenic rink awaits! The Natrel® Rink has a heated indoor change room with lockers and washrooms. Hot food and drinks are available at our rink-side restaurant, Lakeside EATS. Best of all – skating is FREE! Part of Skate Culture. Sugarbush Maple Syrup Festival (March 2 – April 7) @ Kortright Centre – It’s a sure sign of spring. Come out and tap into nature! Demonstrations, wagon rides, activities, entertainment, fun crafts and of course pancakes and Maple Syrup. Posted in Weekend Fun Guide and tagged Easter 2013, Easter Egg Hunt for dogs, easter egg hunts, Easter Parade, family fun, Maple Syrup Festivals, March 29-31 2013, One of a kind craft show, ontario. Bookmark the permalink. Tis the season for the Easter Bunny, Easter Parades and everyone’s favourite EGG HUNT!!! This weekend there are so many fun Easter themed activities taking place across Ontario. See our Easter Fun List for ideas on what you can do with your family this Easter Weekend. Easter Egg Hunt – Join the fun as we celebrate easter with the Barrie City Police on their annual Easter Egg Hunt held at Roberta Place Retirement Lodge. On Saturday March 30, 2013, bring the whole family out to meet Barrie’s Finest and thier German Shepherd Mascot, Blue. A SP’EGG’TACULAR EASTER EVENT @ Ireland House at Oakridge Farm (March 24th only) – Help welcome spring again at this popular family event! A chance for kids to go on an exciting Easter egg hunt and meet the Easter Bunny when he makes his enchanting visit! The day includes egg painting and decorating, helium balloons, face painting, children’s bazaar, great holiday crafts, games, historic cooking & sampling, delicious Easter refreshments and heritage demonstrations including a traditional blacksmith at work, museum tours, vendors, a fantastic silent auction for adults, special prizes and more!!! 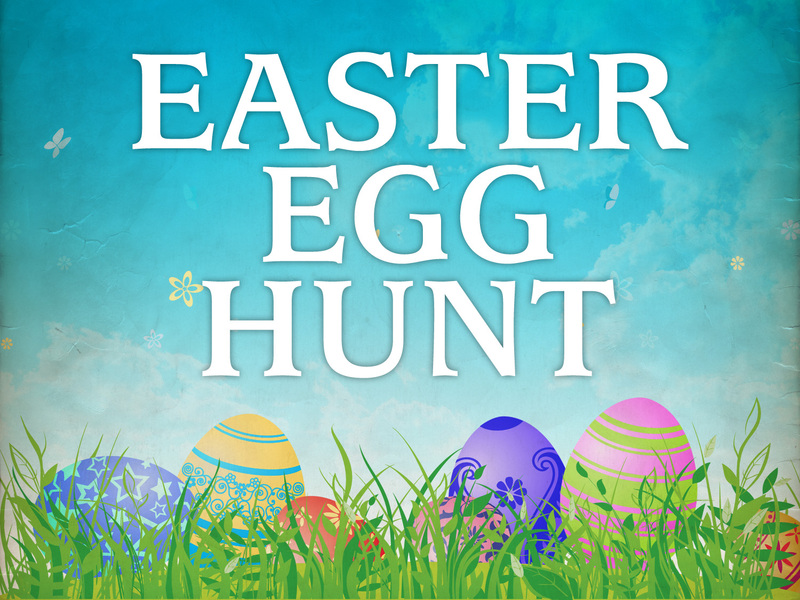 Easter Egg Hunt – The Buxton Historical Society is hosting an Easter Egg hunt on Sat March 30th from 1-3pm – rain or shine! There will be a guess the jellie bean and colouring contest. Redeem your eggs for candy and prizes. This is targetted for children 1-10 years old. Easter Egg Hunt @ Rounds Ranch – Grab your family and easter basket and head to Rounds Ranch for some fun! Fun includes an egg hunt, mazes, wagon ride and baby animals. Easter Bunny visits Concession Street – On the Saturday of Easter weekend, and during his very busy schedule, the Easter Bunny officially drops by Concession Street to hand out candy and greet all passersby. Don’t forget to bring your camera. The bunny loves having his picture taken with your children. Easter Eco Egg Hunt @ Gamiing Nature Centre – The eggs are hidden and ready for you to find. Other games include the forest bingo, hunting with your senses and more,always popular games to play with the family while you take in the sights and sounds of the forest, meadows and wetland. And KUBB game for children of ALL ages. Yummy refreshments are available. Easter Spring Fling @ Wye Marsh – Enjoy a very hoppy Easter here at Wye Marsh! We have a variety of activities throughout the weekend. There will be: Easter egg hunts, Kids zone crafts, Spring stride guided nature walks, Scavenger hunt with prizes, Chickadee Feeding and Live reptile and bird of prey demonstrations. Bowling with the Easter Bunny @ Bayshore Lanes – All lanes glow in the dark & every child receives an easter treat! Activities: Face Painting * Photo with the Easter Bunny * Silent Auction * and More!!! Easter Festival @ Springridge Farm – So much fun to be had Easter weekend at Springridge Farm! Join in an Easter Egg Hunt with the Easter Bunny, watch a professional puppet show, have your face painted like a bunny, go for a wagon ride, take home so crafty bunny ears and play in the super fun Farmyard! Easter Egg Hunt @ Alpha’s Discovery Centre – Alpha’s Discovery Club is holding its annual Easter Egg Hunt with the Easter Bunny. Fun includes an Easter Egg Hunt, Visit with the Easter Bunny himself, Easter theme crafts and fun on the Indoor Playground. Cost: $15/child Space is limited so reserve your tickets today! Easter Fun Fest @ Brooks Farms – Upon arrival children will receive their very ownEaster basket. Children will collect plastic eggs from our Barnyard Playland and trade in for chocolate when they are ready. For the older children there will be a Scavenger hunt. Additional fun can be had on a train or wagon ride and in the Barnyard playland. Easter Egg Hunt sponsored by the YMCA – Come join us and enjoy some fun spring holiday games and crafts and take part in our annual Easter Egg Hunt on Saturday, March 30th from 1:00 to 3:00pm. Ages 2 to 12 years welcome! 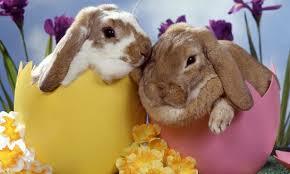 Easter Fun @ Oakville Museum – The Oakville Museum invites you to hop on over for Easter Fun! Join us for “egg” citing activities, make Easter crafts, play Easter bingo and visit with McFlurry the education bunny from the Oakville and Milton Humane Society. Tour the museum and spot eggs hidden in the Estate. A great day out for the whole family! Downtown Easter Egg Hunt – Great Easter Egg hunt Saturday March 30th from 9:30 am to 12:00 pm (noon) outside the Orillia Opera House 20 Mississaga St W Orillia. There will be chocolate, you can visit the Easter Bunny, face painting and more. Easter on the Farm @ Canada Agriculture Museum – After a long winter, the barns have come alive with the arrival of new-born animals. Come welcome the soft little lambs, marvel at the rabbits’ silky fur and observe the fluffy newly-hatched chicks from up close. Visitors can help make a variety of Easter breads and taste a delicious sample. What’s more, the annual egg hunt is on again – children 6 years-old and younger can participate in the hunt for tots while older children can take on the challenge of hunting for the “signs of spring” throughout the barns. 2nd Annual EASTER EGG HUNT @ Stewart Park – Brought to you by PERTH TOURISM! Takes place Saturday, March 30th, 2013 at 11am sharp in Stewart Park, located behind Perth Town Hall. For ages 8 and under, all children must be accompanied by an adult. The park will be divided into two sections for the young, and the younger, to search for eggs, which can then be exchanged for EASTER TREATS!! While your child is waiting to receive his/her treats, they can enjoy the music of SPLASH ‘N BOOTS in the Bandshell! The Perth Fire Department will have a truck on display, and the Easter Bunny himself may make an appearance…..! Easter Parade – The Royal Canadian Legion, Branch 606 & the Ladies Auxiliary proudly present the Annual Easter Parade. Put on your best Easter bonnet, decorate your bike, wagon or doll carriage to win great prizes! Free lunch and activities at the Legion following the parade. Want to participate in the parade – call 905.839.2990. Good Friday Easter Fun @ Westfield Heritage Village – Visit the village for some old-fashioned fun on Good (Egg) Friday. Eggs will be the theme of the day, with games, activities and treats throughout the village. This day will be doubly sweet, as visitors can also enjoy the regular Maple Syrup activities. Special event pricing applies. Easter in the Park – Visit with the Easter Bunny! Enjoy an Easter Egg Hunt! Egg, basket and bonnet decorating competition and family fun entertainment. Easter Egg Hunt @ McMaze – It’s Easter and Peter Cottontail has lost all his eggs! Bring the kids out to the farm at McMaze to help him find them all. Take part in the scavenger hunt, get some great Easter treats, visit some of the farm animals that call McMaze home and just simply enjoy the outdoors in the beautiful springtime! 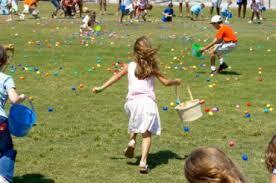 March 29 – 31, noon – 4:00 p.m.
Easter Egg Hunt @ Jaycee Gardens- Over 50,000 mini chocolate eggs to be found!!! With the help of community sponsors, JCI St.Catharines (Jaycees) is putting on a free Easter Egg Hunt for children up to the age of 10 on Saturday, March 30th 2013. There will be food concessions including Starbucks coffee, bouncers & games from Niagara Inflatables, live kid-friendly entertainment and many other fun events all morning long. Easter Egg Hunt @ Gammondale Farm – Bring your camera to get pictures with the Easter Bunny! Admission includes Farm Animals, Easter Sling Shot, Mazes and Hay Ride plus the Easter Game Card for the easter Egg Hunt and Easter treats. Easter “Egg” Stravaganza @ Toronto Zoo -Hop along the Zoo trails and follow the clues to some of our featured furry and feathered family. Don’t forget to take in one of our many Daily Keeper Talks and drop by the Front Entrance Courtyard Stage to pose with our two Giant Panda Mascots-Er Shun and Da Mao-who will be dressed in their Easter best! Plus, what’s Easter without eggs? Visit one of our egg-ceptional Volunteer stations to discover the amazing array of unconventional eggs found in the animal kingdom. Easter Eggstravaganza – Activities include an Easter egg hunt, face painting, petting zoo, bouncy castle, WBYC BBQ, Strong Kids Campaign Youth Leader Exchange Program Silent Auction, the Easter Bunny live on location and Much Much More! Posted in Holiday Fun and tagged Easter 2013, easter egg hunts, Easter Parade, Easterfest, Egg hunt for dogs, March 29-31 2013, ontario, Spring 2013. Bookmark the permalink.